PRAS is considering a project for insects since recent research studies indicate an approximate 75-90% drop in insect biomass in several places. Native bees are an unappreciated treasure, with 4,000 species from tiny Perdita to large carpenter bees, they can be found anywhere in North America where flowers bloom. Most people don’t realize that there were no honey bees in America until the white settlers brought hives from Europe. Bee keeping has been introduced for agriculture; however, some hives are being placed in U.S. Forest Service lands and natural preserves. Honey bees can out compete native bees if placed in parks or natural areas instead of near agricultural fields. 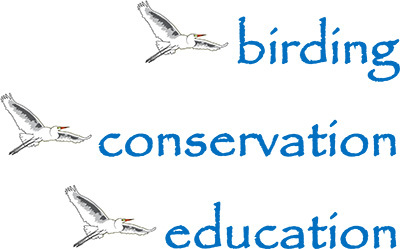 They can out number native pollinators dominating pollen and nectar sources of native flowers. Most other bees, including familiar insects such as carpenter bees, leaf-cutter bees and mason bees are solitary in the sense that every female is fertile, and typically inhabits a nest she constructs herself. 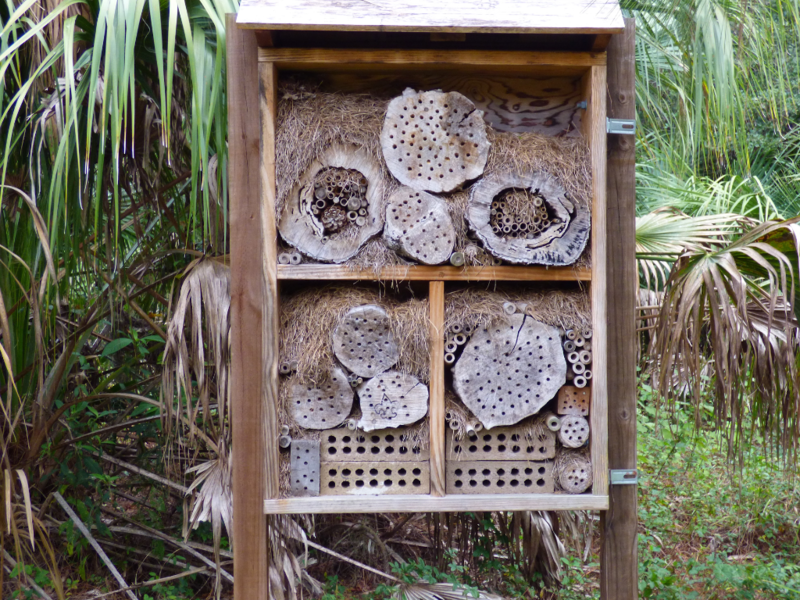 There is no division of labor so these nests lack queens and worker bees for these species. In reality more than 85 percent of the some 20,000 bee species are not social but solitary. 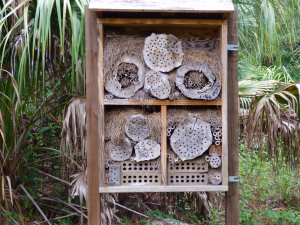 Constructing solitary bee hotels displayed in the picture and placing them at Pennington, Kiwanis, and CHEC properties might help conservation of native species.